Experienced Staff – Central air helps to maintain a healthy, comfortable atmosphere during the heated summer months. B & M Air and Heating Inc has worked with countless homeowners and businesses since 2014, ensuring these essential cooling systems remain reliable through the entire season. With in depth knowledge and expertise regarding all of the leading manufacturers and central air systems, B & M Air and Heating Inc staff are ready to install your new air conditioner or service existing systems with professional, attentive service. Quality AC Brands – Not all central air conditioner models are created equal. B & M Air and Heating Inc is dedicated to working with the highest quality brand names, providing our customers with dependable, efficient and affordable solutions to their cooling needs. B & M Air and Heating Inc has established long-term relationships with well-known manufacturers and works hard to stay on top of industry innovations and advancements. Guaranteed Satisfaction – You can trust B & M Air and Heating Inc to deliver premium service at reasonable prices. We guarantee it! Ask one of our many customers about our commitment to quality workmanship, hassle-free service and superior central air brands. Your satisfaction is our ultimate goal, and we work hard every day to maintain the highest levels of customer satisfaction in the region. 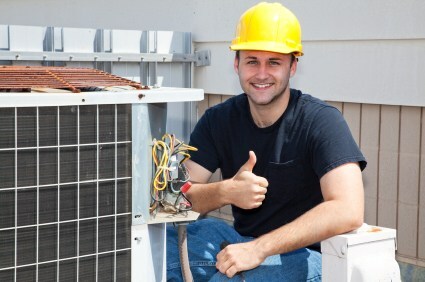 When you need central air installation or service, B & M Air and Heating Inc is the one to call. For trustworthy service from experienced professionals installing high quality brands, call B & M Air and Heating Inc at (323) 402-4203 today for an estimate.